According to a study from Tulane University, the bacteria that causes Lyme Disease can survive beyond a 28 day course of antibiotics. Please follow the link after the summary for the full story. Excerpts from the article below……………..
Materials provided by Tulane University. Bay Area Lyme Foundation, a leading sponsor of Lyme disease research in the US, today announced results of two papers published in the peer-reviewed journals PLOS ONE and American Journal of Pathology, that seem to support claims of lingering symptoms reported by many patients who have already received antibiotic treatment for the disease. All subjects treated with antibiotics were found to have some level of infection 7 — 12 months post treatment. 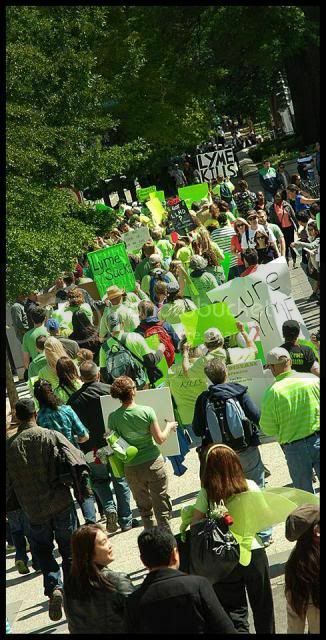 LYME DOCUMENTARY – ARE WE CRAZY?? — WE NEED THIS FILM! We all need to know the truth about the crimes committed by CDC, IDSA Drs in 1994. This is why our disease is being denied & we can’t get any help! !